I love how paint is the great transformer! It has the magic to take change something old, and make it brand new. I found some really great Ethan Allen swivel chairs on a garage sale page from probably the 1970’s or 80’s. I used the HomeRight Super Finish Max Extra, and a paint with primer to give the chairs a fresh new look with paint for my dining area. I wanted chairs that were a bit more substantial on the end of my table, and these were perfect. I started by prepping my chairs to paint. You can find the complete instructions here on HomeRight. I love how old Ethan Allen furniture is so well made, and so timeless. When I first started blogging years ago, I used to paint furniture. This was a piece I made over and glazed. It’s hard to believe it’s been 10 years since that post! 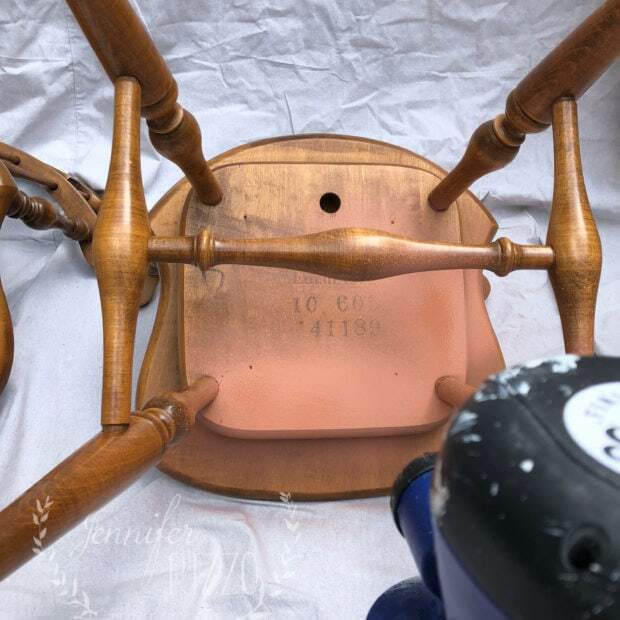 After the chairs were painted, I let them cure for at least 48 hours. It gives the paint a chance to harden. The thing I love about the HomeRight Super Finish Max Extra is that there isn’t any paint thinning that has to happen. It can go right from the can into the sprayer. 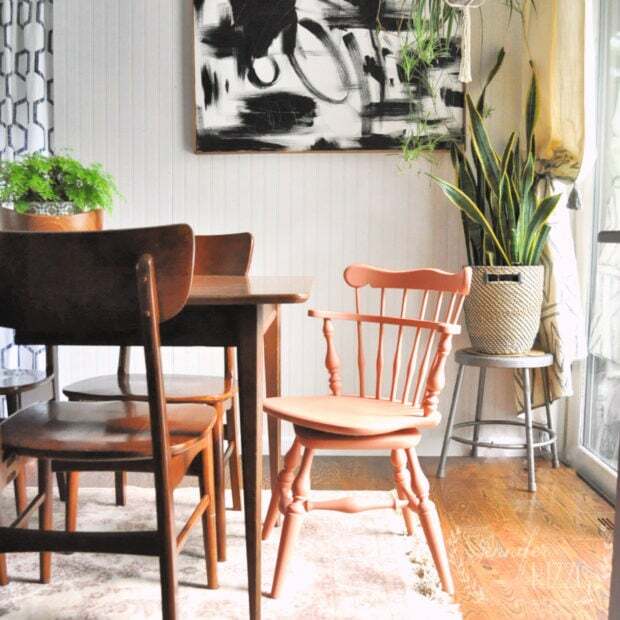 It makes it easy for a quick furniture refresh. The chairs took me about 30 minutes to paint start to finish. After the paint is cured, they can be coated with a polyacrylic to increase durability. I fell in love with this color by Ben Moore. It’s called Patina. 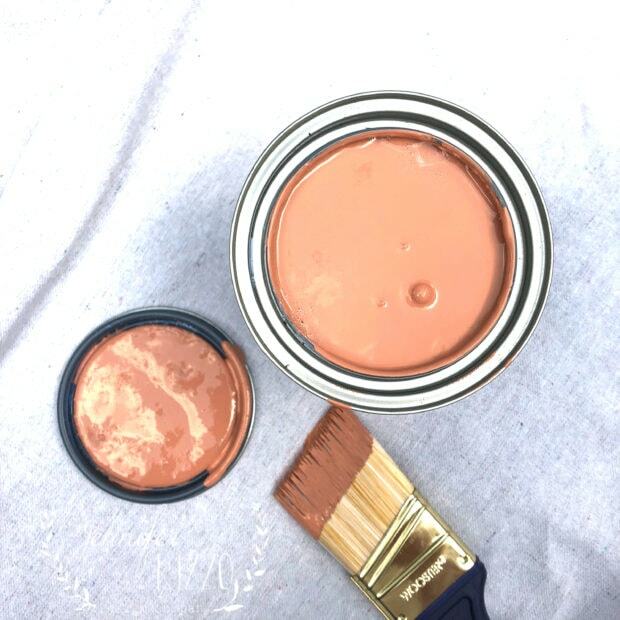 It’s a great muddy terra cotta color when it dries. I thought it would be a nice pop of color for my dining area. I love how it looks with my dark green hutch. 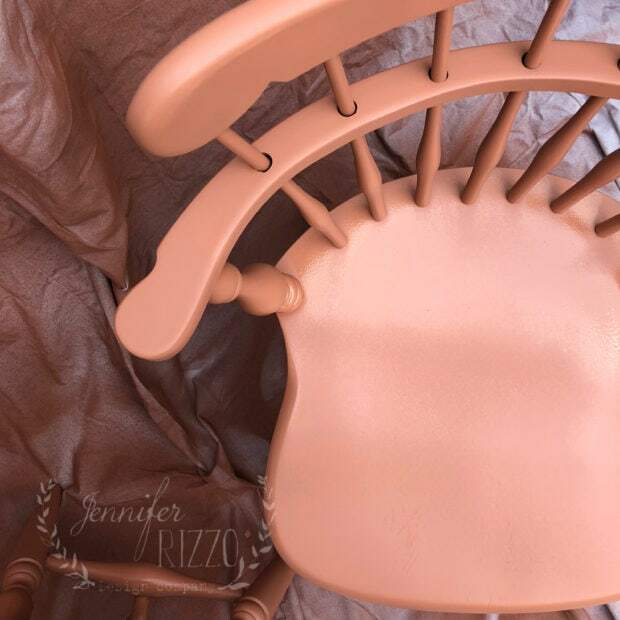 I love how easy it was to give the chairs a fresh new look with paint. Since my table is an actual vintage MCM table, I think smaller chairs would look better. 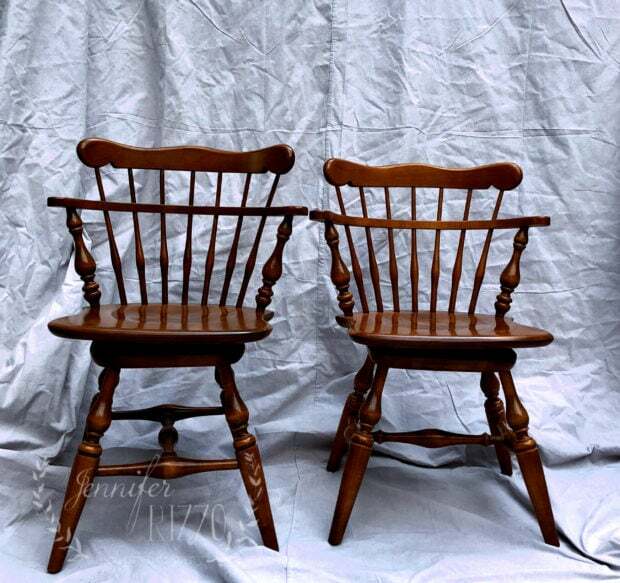 Theses “new” chairs are a little smaller than my current ones, so I am thinking about finding other vintage chairs to go with it, or something with a smaller scale. I might even look at going with a fun material like metal. Wouldn’t gold wire chairs look amazing??? This post has been sponsored by HomeRight, opinions are entirely my own.